The German Ministry of Defense is reporting the death of a German ISAF soldier from a small-arms fire (RPG) attack in the vicinity of the German encampment in Kunduz, Kunduz Province, Afghanistan on Wednesday, April 29th. Four additional soldiers were wounded in the attack. #1: Five people were killed and five were wounded by a roadside bomb in Hor Rijab, a village on the southwestern outskirts of Baghdad. #2: A roadside bomb wounded five civilians in the Shurta district of southwestern Baghdad, police said. #3: Two bombs placed in parked cars killed two people and wounded eight others near a Shi'ite mosque in the Hurriya district of northwestern Baghdad, police said. #4: Around 7 p.m. a roadside bomb targeted an American patrol in Khadraa neighborhood in western Baghdad on Wednesday. No casualties reported. #5: A roadside bomb wounded three civilians in the Karrada district of central Baghdad, police said. #1: Three Iraqi soldiers were killed on patrol and two others wounded when two roadside bombs went off in Himreen area of northeastern Diyala province, police said. #1: Two policemen on Wednesday were killed and five men, including an Iranian, were wounded in a road accident in Kut city, according to a local security source. “A police vehicle collided with a bus carrying Iranian visitors at the northern entrance to Kut city,” the source told Aswat al-Iraq new agency. #1: A roadside bomb wounded three civilians in Abu Ghraib, on the western outskirts of Baghdad, police said. #1: Two separate roadside bombs in southern Mosul, 390 km (240 miles) north of Baghdad, killed one policeman and wounded five civilians, police said. #2: Two civilians were wounded by a roadside bomb in eastern Mosul, police said. #3: A roadside bomb in the south of Mosul, 390 km (240 miles) north of Baghdad, targeted a police patrol, wounding two policemen, police said. #1: Turkey's military said it had launched air strikes against suspected Kurdistan Workers Party (PKK) bases in northern Iraq overnight and on Thursday. No further details were immediately available. #1: Four bodyguards of the Islamic party in Falluja were wounded on Thursday in a bomb explosion in the south of the city, a source from the party said. 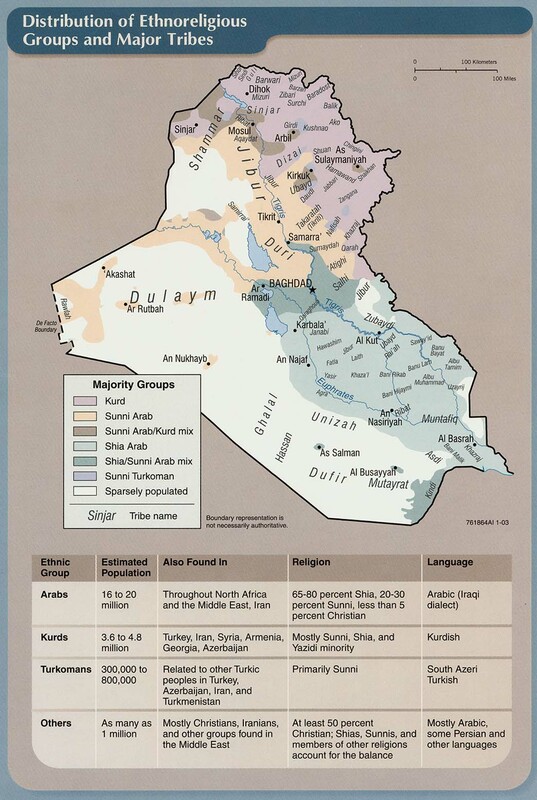 “An improvised explosive device went off on Thursday (April 30) targeting the motorcade of a senior official of the Islamic party in Nezal neighborhood in the south of Falluja, injuring four of his bodyguards,” the source told Aswat al-Iraq news agency. “The explosion also damaged his vehicle,” he added. #1: A roadside bomb blast killed one Shiite Muslim and wounded six others travelling by mini-bus in an apparent sectarian attack in northwest Pakistan on Thursday, police said. The explosion occurred near the garrison town of Kohat, which is a key base for Pakistani troops battling Al-Qaeda and Taliban militants in the semi-autonomous tribal districts on the border with war-torn Afghanistan. "Seven people were injured in the bomb blast," local police official Shafiq Khan told AFP. Another police official, requesting anonymity, said one of the wounded died in hospital and that three of the wounded were in a serious condition. #2: An old mortar shell exploded as a group of children played with it in Afghanistan, killing three of them and wounding another three, the interior ministry said Thursday. The shell, apparently left over from Afghanistan's decades of war, exploded on Wednesday in the province of Kapisa north of the capital Kabul, it said in a statement. "The mortar shell explosion killed three children and wounded three other children," it said. #3: Also Thursday, the US-led coalition reported it had killed four suspected insurgents in the strategic province of Logar, adjoining Kabul. A civilian woman was also wounded in the battle which erupted late Wednesday as troops were tracking down a bomb-making network, it said in a statement. #4: Afghan police and U.S.-led forces killed five militants in an offensive in Uruzgan province 300 km (190 miles) south of Kabul on Wednesday, the interior ministry said. #5: Four militants have been killed in the fresh round of operation launched by security forces in Buner District in northwestern Pakistan on Thursday, a military spokesman said. Addressing a news conference in Rawalpindi, the Director General of Inter Services Public Relations Major General Athar Abbas said that the security forces launched new offensive against Taliban militants on Thursday morning. The security forces engaged militants' hideouts with full force, said the spokesman. Canadian Kyle Ricketts, 22, suffered broken feet and ankles and a broken jaw in Afghanistan during a roadside bombing March 8. The British Ministry of Defense is reporting the death of a British ISAF soldier from an explosion in the vicinity of Forward Operating Base Keenan, north east of Gereshk in Helmand province, Afghanistan on Tuesday, April 28th. Here's the ISAF statement. The News Press dot com is reporting the death of an American contractor during a roadside ambush/small arms fire attack somewhere in the vicinity of the Afghanistan-Pakistan border to the Afghanistan's capital of Kabul, Afghanistan on Saturday, April 26th. One additional contractor was killed and at least one other was wounded in the attack. #1: Clashes erupted today between an Iraqi army force and guards of a building belongs to the Trade Ministry, eyewitnesses said on Wednesday, with no word on casualties. “The clashes broke out on Wednesday morning (April 29) when the Iraqi army force attempted to arrest one of the Ministry’s employees in the building,” eyewitnesses told Aswat al-Iraq news agency by phone. “Clashes stooped shortly after that, a matter that allowed evacuating other employees from the building,” another eyewitness said. #2: In three separate incidents the Iraqi Security Forces detonated under control three parked car bombs in Abu Disheer and Hay al Mualimeen in southern Baghdad, and in Amil neighbourhood in southwestern Baghdad Wednesday morning. #3: A roadside bomb targeted a U.S. military convoy in Shaab neighbourhood, northern Baghdad at 3 p.m. Tuesday. No casualties were reported. #4: Iraqi police say two car bombs have killed at least 17 people in Baghdad's Shiite district of Sadr City. The blasts went off in quick succession Wednesday from parked cars filled with explosives. A police official says at least 17 people were killed and nearly 50 wounded. The toll from twin car bomb blasts on Wednesday in a busy market in Baghdad jumped to 41 killed and 68 wounded, Iraqi police said. #1: A roadside bomb on Tuesday went off targeting a U.S. patrol in Baaquba suburb, said a security source from Diala, while the province’s police commander said that a wanted woman was arrested south of Baaquba. “The roadside bomb went off in central Baaquba while a U.S. patrol was passing by,” the source told Aswat al-Iraq news agency. “One of the patrol’s vehicles was heavily damaged,” he said. The source did not mention anything about casualties, while U.S. forces have not yet commented on the incident. #1: A US-Iraqi patrol has been ambushed while distributing grants to Iraqi businesses near the northern city of Kirkuk, the American military said Wednesday. Iraqi officials said two civilians were killed when the Americans returned fire, but the US military said those killed were enemy fighters. US spokesman Maj. Derrick Cheng said several people launched grenades and began shooting Wednesday as the patrol was handing out micro-grant money to stimulate small businesses in the town of Riyadh. He said reports indicate "two enemy killed and one wounded," and one American was also wounded. #1: Gunmen, on foot, attacked and killed a civilian while he was shopping in al Zinjeeli commercial centre in western Mosul, Tuesday morning. Early investigations showed that he was the father of two policemen. #2: A roadside bomb targeted a police patrol in Qahira neighbourhood, downtown Mosul Tuesday injuring three policemen. #3: A roadside bomb targeted a police patrol in New Mosul at 8 a.m. Wednesday injuring two policemen. #1: Four German soldiers were slightly wounded in a suicide bombing in northern Afghanistan Wednesday, the German Defense Ministry said, as Foreign Minister Frank-Walter Steinmeier arrived for a surprise visit in Kabul. The attacker blew himself up in a vehicle 15 kilometers south of the city of Kunduz as a German reconstruction team in a Dingo armored vehicle passed, the Ministry said in a statement. Five German soldiers were wounded when a suicide car bomber attacked their convoy in the Ali Abad district of Kunduz province, some 241 km (150 miles) north of Kabul on Monday, provincial governor Mohammad Omar said. A spokesman for the German army in north Afghanistan said four soldiers were wounded, and they were still trying to establish whether the bomb was vehicle borne, and whether it was a suicide attack. #2: The U.S. military says Afghan and international forces have killed 32 militants in two clashes in southern Afghanistan. The military statement says a convoy of Afghan police and forces with the U.S.-led coalition came under fire during a patrol in Uruzgan province Wednesday. The troops fired back and called in air support, killing 23 insurgents. #3: Separately, the military says Afghan and coalition troops were attacked during a search operation in neighboring Helmand province. Nine militants were killed in the ensuing fighting. The statement says no casualties were reported among Afghan and coalition forces, or civilians. Wednesday's fighting erupted about 50 miles (80 kilometers) southwest of Kabul when a patrol moved into a village in Logar province in the early morning to search out Taliban operatives, the US military said in a statement. Militants fired on the troops as they approached the targeted compounds. The Afghan and international forces killed two insurgent scouts as they moved forward and at least another eight as they approached the compounds. Two suspected Taliban insurgents were captured. No Afghan or coalition forces were injured, the military statement said. #4: Kabul did see some violence Tuesday. Militants fired rockets at a NATO military base early Tuesday, wounding two French soldiers, Wardak said, but no other incidents had been reported. In Afghanistan, a rocket struck close to a building in the capital Kabul housing Finnish peacekeepers on Monday. Five people were injured, two civilians and three French peacekeepers -- one of whom was seriously injured. The rocket exploded early Monday morning about 50 metres from the Finnish base, Camp Katariina. There are only about 10 Finns stationed there. #5: Also Tuesday, Afghan and NATO troops shot dead a motorcyclist in central Wardak province when the driver sped toward a checkpoint despite repeated warnings to stop. #6: Elsewhere in the country, four would-be suicide bombers died in southern Ghazni province when their explosives detonated in the house they were staying in, said Sayed Ismail Jahangir, spokesman for Ghazni's governor. #7: Three children were killed Wednesday in a landmine blast in southwest Pakistan's Balochistan province, local television said. The three children were traveling along with their father in Jaffarabad district of Balochistan when they mistakenly stepped over a landmine planted by unknown miscreants, the report said. #8: Intelligence officials say a suspected U.S. missile strike has killed five people in a Pakistani tribal region along the Afghan border. The officials say the Wednesday strike hit a vehicle and also wounded four people in the Kani Guram section of South Waziristan. #1: A clash between Taliban insurgents and police in the outskirts of Kabul claimed the lives of over a dozen people including a police officer, a press release of the Interior Ministry said Tuesday. "The clash occurred in Mosahi district outside Kabul city on Monday during which 12 rebels and a police officer were killed," the press release said. It also said that the operation is continuing in the area to root out militants and ensure security for the citizens. #2: Two civilians were killed and seven others, including five children, were wounded when a rocket hit a residential area in the Lashkar Gah district some 555 km (345) miles southwest of Kabul on Monday, a provincial official said. It was not immediately clear who had fired the rocket. #3: A roadside bomb killed five Afghan police as they conducted an operation against militants on Monday in Paktika some 150 km (95 miles) south of Kabul, the interior ministry said. #4: Fighter jets began bombing Taliban hide-outs in a district near the Pakistani capital Tuesday, a military spokesman said, signaling an expansion of an offensive against militants seemingly emboldened by a controversial peace deal. Ground troops also are preparing to enter Buner district, said Maj. Nasir Khan, adding there were no immediate reports of casualties. #1: Sunday A roadside bomb targeted a national police patrol in Dora neighborhood in southern Baghdad around 9:30 p.m. One policeman was killed and another one was wounded. #2: The director general of Basra’s police department on Monday survived an assassination attempt when an explosive device targeted his vehicle in Baghdad, according to a media chief. “Today, an improvised explosive device (IED) targeted Basra’s police chief, Staff Maj. Gen. Adel Kamel Raham, in Jaraf al-Nadaf area, southeastern Baghdad,” Col. Abdulkareem al-Zaydi told Aswat al-Iraq news agency.The explosion caused damage to the official’s vehicle, but no casualties were reported, Zaydi added. #3: Gunmen threw a grenade on a police patrol beneath the Jadiriyah Bridge in downtown Baghdad around 9 p.m. Two policemen were wounded with their car damaged. #1: Seven suspected al Qaeda insurgents were killed in clashes with U.S. forces in a largely Sunni Arab province of Iraq, the U.S. military said Monday. Iraqi police in the area said Iraqi forces allied with the Americans were involved and that clashes continued throughout Sunday in the town of Dhuluiya, 70 km (45 miles) north of Baghdad. They put the death toll of the gunmen at nine. Lieutenant Colonel Mohammed Jassim, a police official in Dhuluiya, said the fighting began early Sunday and resulted in the arrest of 17 suspected militants, four of them non-Iraqi Arabs. Four suspected insurgents were wounded. #1: Major General Adel Dahaam, police chief of the southern city of Basra, was unharmed in a roadside bomb attack in Salman Pak, 30 km (20 miles) southeast of Baghdad. Police said Dahaam was off-duty at the time. #1: A shepherd was wounded on Monday when an explosive charge went off south of Arbil, said a police source from the province. “The incident took place at Bashtappa village of Qosh-tappa district, 45 km south of Arbil city,” the source told Aswat al-Iraq news agency. #1: Unknown gunmen stormed a house on Sunday night and shot dead two Christian women in the Domiz neighborhood in southern Kirkuk, some 250 km north of Baghdad, Brigadier Burhan Tayib, the city police chief told Xinhua. #2: Separately, unidentified armed men stormed another house also on Sunday night in the June 1st neighborhood of southern Kirkuk, killing a man and wounding his father and brother, Tayib said. #1: Sunday A policeman was killed after insurgents broke in his house in alKhadraa area in east Mosul on Sunday morning. #2: A roadside bomb wounded two Iraqi soldiers and one civilian in nothern Mosul, 390 km (240 miles) north of Baghdad, police said. #3: Police said they found the body of a man who had been shot in the head and chest in western Mosul. #4: U.S. forces on Monday injured a woman in eastern Mosul, a security source said, adding that police found a civilian body in the western section of the city. “A woman was wounded on Monday in a random shootout by U.S. forces in al-Faisaliya region in eastern Mosul,” the source told Aswat al-Iraq news agency. #1: An unmanned aerial vehicle crashed shortly after take-off today in Paktika province. The drone experienced mechanical difficulties shortly after it was launched in the Orgun-E District. The site of the crash was located and secured immediately by the Afghan National Police. There were no reports of enemy activity in the area at the time of the crash and a recovery team is working to collect the equipment. #2: US-led and Afghan troops killed five suspected militants during "complex operations" targeting rebels in southern Afghanistan, according to US forces. The rebels were shot dead as soldiers searched compounds in the province of Kandahar where troops found and "protected" 150 civilians, including 50 children, the US-led force said in a statement. The militants were killed after refusing orders to evacuate buildings in the Taliban flashpoint of Zhari district. #3: A roadside bomb Sunday struck a vehicle of Counter- Narcotics police in southern Afghan province of Kandahar, killing five police and two civilians, said a statement of the Interior Ministry received here on Monday. "The explosion took place in Lakokhil area of Jalai district Sunday noon leaving five Afghan National Police and two civilians dead and two more police wounded," the statement said. #4: Paramilitary troops killed 20 suspected militants Monday, and a total of 46 had died since the operation began, an army statement said. Troops were combing the Maidan area of the district, it said.Some terrified residents have fled the area clutching no more than their children and a few belongings. At least one soldier was killed Sunday.A spokesman for the Taliban in their Swat Valley stronghold denounced the operation as a violation of the pact and said their fighters were on alert and waiting to see if a hard-line cleric who mediated the deal pronounced it dead. #5: Two more policemen and two civilians were also wounded when one of police vehicles was blown up in the district’s Lakokhel area, the statement said. #6: A group of Taliban militants attacked a district office in relatively peaceful northern Afghanistan Monday, killing one policeman and taking nine others hostage, officials said. In the rare attack, dozens of insurgents with assault rifles and rocket-propelled grenades stormed the Borka district headquarters in Baghlan province early Monday and killed an officer, provincial police spokesman Jawed Basharat said. The militants fled the area after torching the administration and police buildings, and destroying a police vehicle, he said. The Interior Ministry confirmed in that nine policemen including four officers were missing, while Basharat, speaking from Borka, told the German Press Agency dpa that police launched an operation in the area to track down the attackers. #7: Afghan border police force seized a large amount of explosives hidden in a truck by militants for attacks, the Interior Ministry said on Monday. The overnight seizure in eastern Nangarhar province included 3,720 bags of explosives and 220 guns, it added. Sgt. Darron Mikeworth, 32, had just come out of a drug-induced coma - his mind was still in a fog and he was so weak he could barely stand. Three weeks before, in Iraq, near Baghdad on April 29, 2005, a suicide bomber had raced up to the right side of his Humvee, igniting a barrel of explosives that tore into the machine gunner's face. He nearly died. His head was one giant purple bruise, his eyelids were nearly swollen shut. His left eye had been removed (he'd given his OK from his hospital bed.) His eyelashes and most of his eyebrows were singed off; so, too, was his hair halfway back on his scalp. His nose was mostly gone, just a sliver of cartilage remaining; skeletal-like bones revealed his sinuses. His top right lip was curled into a snarl, making it impossible to close his mouth. His right jaw was torn. His bottom teeth, loosened by the blast, were wired together. His face - every bone has been shattered - was splattered with pinkish third-degree burns. A Multi-National Division – North Soldier died from injuries sustained following an attack on a patrol in the Kirkuk Province of northern Iraq, April 25. Note: The MNF release, by-lined Tikrit, refers only to Kirkuk Province. 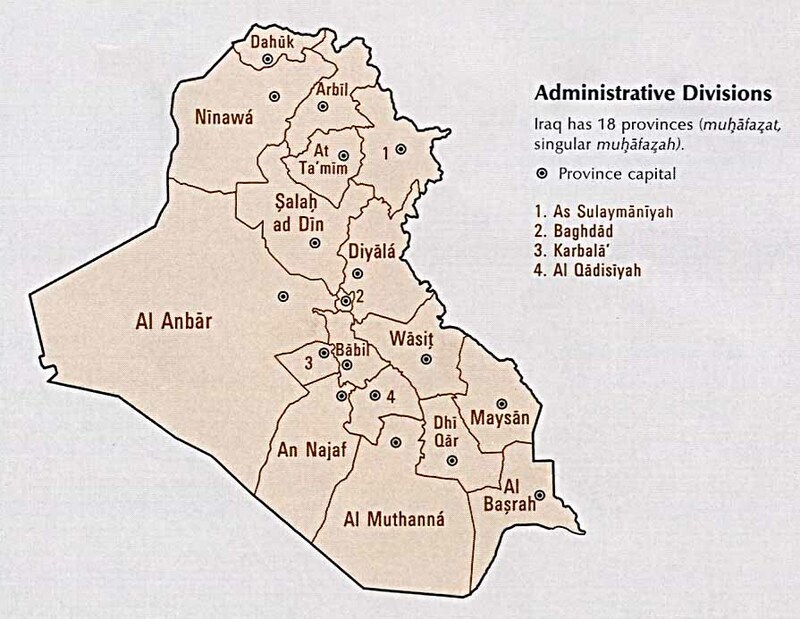 However, Aswat al-Iraq identifies the location as Kirkuk city. U.S. forces raid a house, shoot dead a woman and a policeman, arrest five others, "including a police captain and a tribal leader," according to an Iraqi security spokesman. U.S. claims the target was a Shiite militant group supported by Iran. The Iraqi Defense Ministry says that the raid was not approved by the Iraqi government, in contravention of the November security pact, and has detained two provincial commanders for having allowed the raid to proceed without required authorization. Aswat al-Iraq reports a protest demonstration by "hundreds of residents" against the U.S. action. The protesters marched through the city and gathered in front of the province’s administration building and ended in front of the house of the assaulted family,” the source told Aswat al-Iraq news agency. Earlier on Sunday (April 26), a local security source said a man and a woman were killed by U.S. soldiers’ fire during a raid on their house in central al-Kut city. “U.S. forces raided a house in 14 Tammuz neighborhood, central Kut, during the early hours of Sunday, killing a man and his sister-in-law and arresting four other family members,” the source told Aswat al-Iraq. “The two bodies were carried to al-Zahraa hospital morgue in Kut. The four arrested people were all men, including a local police officer in the rank of captain,” he added. Two Sahwa fighters injured by IED. Two Iraqi soldiers killed in assault on a checkpoint. Soldiers say they have captured two of the attackers. Police defuse a car bomb. A huge blast caused widespread damage to a wholesale market in Saddam Hussein's hometown, about 80 miles north of Baghdad. Several warehouses holding food, appliances and clothes were lost in the fire, said a policeman, speaking on condition of anonymity because he was not authorized to speak to media. The cause was not immediately known. This story is weird because it is mentioned only in passing at the end of a long story about other issues. I haven't found any other mention of it. Government tightens security around Shiite shrines and holy areas following recent attacks. Attacks on Thursday and Friday, killing 150 people and targeting in large part Shi'ite pilgrims from Iran, and other bouts of violence have created an air of dread in Baghdad, where in recent months a degree of normality had started to be felt. The government of Shi'ite Prime Minister Nuri al-Maliki, whose influence has grown in the last year as Iraqis credit him for improving security, says the bombings will not unravel what has been accomplished since the dark days of 2006-2007. 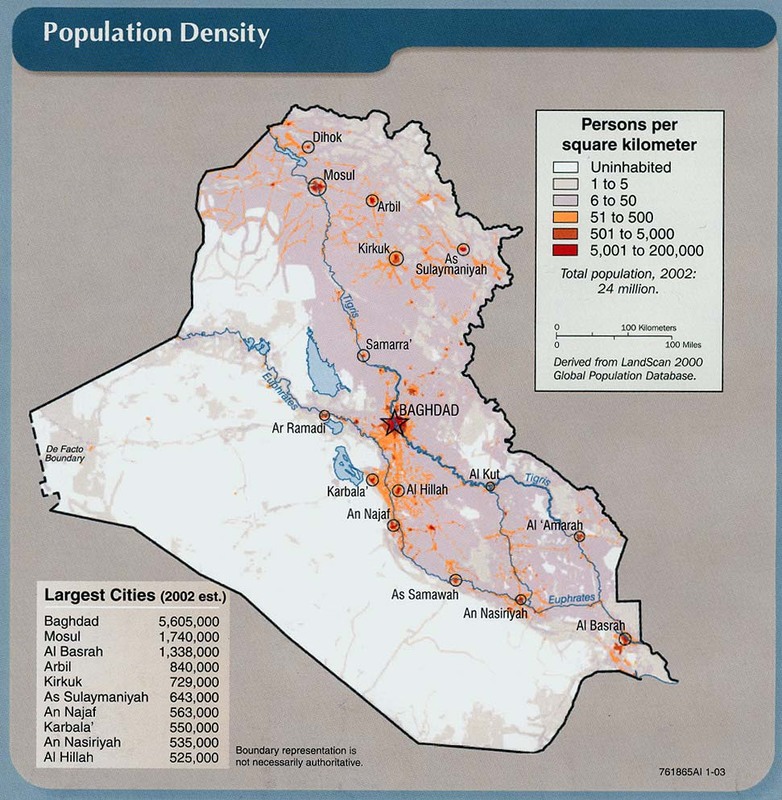 But the bloodshed, shortly before U.S. combat troops are due to withdraw from Iraqi cities, is an ominous reminder of the damage that even weakened militant groups can inflict. "Even in the best of scenarios there is likely to be an increase in violence in the near term," said Michael Wahid Hanna, an analyst at the New York-based Century Foundation. "The question is whether this will catalyze a broader spiral of violence or whether the security forces will be able to keep violence at manageable levels," he said. Iranian Parliament speaker blames U.S. for recent deaths of Iranian pilgrims in bombings in Iraq, echoing remarks by Supreme Leader Ayatollah Ali Kahmenei. "Dirty hands and evil brains that founded this blind and uncontrolled terrorism in Iraq should know that the fire will burn them, too," Khamenei said in a statement broadcast on state television. . . . "The American and Israeli intelligence services are the prime suspects," state television quoted Khamenei as saying." Local transportation official assassinated in Kandahar. In fighting in Helmand Province, Coalition claims to have killed "dozens" of Taliban. Roadside bomb kills 3 police in Khost. Kuna also reports that a girls' school is torched in Ghor, a region where Taliban are not considered strong. Pakistan Interior Ministry confirms reports of Taliban militants loyal to Baitullah Mehsud heading toward Islamabad and other major cities. We'll see. Meanwhile, in Northwest Frontier Province, militants ambush a convoy and kill a soldier, and shave the heads and moustaches of four men as punishment for listening to music. I probably shouldn't say this, but these guys are wacked. -- C And, Pakistani forces are said to launch yet another offensive in NWFP, but there are no details. Unlike the Beltway chatterboxes who fill our airwaves, most Americans appreciate the importance of the torture question. It is not a matter of partisan intrigue. It is a fundamental question of national identity and principle. . . .So the big open question is whether we have an attorney general who enforces the law, or a Democratic version of Alberto Gonzales. That will become apparent soon enough. MNF-Iraq is reporting the death of a Multi-National Division - North soldier from a non-combat related incident in Salah ad Din province on Friday, April 24th. No other details were released. #1: Friday Around 8:30 p.m. a magnetic bomb attached to a police officer’s car in Saidiyah neighborhood in southern Baghdad on Friday. Major Raad Meki was killed at once and three other people were wounded who were in the area. #1: A car bomb detonated in Jalwlaa town in northeast Diyala targeting a police patrol around 7:15 p.m. Two people were killed and 26 others were wounded including 6 policemen. #1: Three persons on Saturday were killed while planting an improvised explosive device (IED) near Khanaqin district, according to Diala’s police chief. “A fourth person, a Saudi, was arrested by the Diala police,” Abdulhussein al-Shamri told Aswat al-Iraq news agency. #1: Six Iraqis were wounded in an armed attack in downtown al-Dujail district, Salah al-Din province, a local security source said on Saturday. “Last night (April 24), four unidentified gunmen driving a civilian vehicle attacked a group of Iraqi pilgrims who were on their way back from a visit to the two holy shrines of the Imams al-Askari in Samarra on the Baghdad-Mosul road, downtown al-Dujail district (120 km south of Tikrit),” the source told Aswat al-Iraq news agency. “The wounded were taken to a nearby hospital for treatment,” the source added.An Iraqi army force engaged in clashes with the attackers, who made their way to al-Nibaie area, one of al-Qaeda’s strongholds in the area, the source explained. #1: A son of a chieftain of the Shamar clan was killed in an improvised explosive device (IED) attack in Sinjar district, west of Mosul city, on Friday, a security source in Ninewa said. “The IED targeted the vehicle of the chieftain’s son near the main road of al-Biaaj district, west of Sinjar, (110 km) west of Mosul,” the source told Aswat al-Iraq news agency. #1: Three suicide bombers penetrated the governor's compound in Afghanistan's largest southern city Saturday, killing at least five police officers in the latest multi-pronged attack in the Taliban's spiritual birthplace. The three bombers were able to get past a first security checkpoint in the governor's compound, and one bomber exploded himself at a second checkpoint, said Ahmad Wali Karzai, the president's brother and the head of Kandahar's provincial council. The two other bombers moved deeper into the compound before police fired on them and their explosives detonated, Karzai said. At least five police died in the attack and nine people were wounded, hospital officials said. The Kandahar governor was not harmed, but officials were searching for a possible fourth suicide bomber, Karzai said. #2: Afghan troops with the support of the U.S.-led Coalition forces have killed six Taliban fighters including a local commander in the eastern Paktika province over the past two days, a spokesman of the local administration Jehanzeb Sulimankhil said Saturday. Afghan forces with the U.S.-led coalition forces conducted a joint operation which was launched in Khoshamnd district two days ago and wrapped up on Friday, killing Taliban commander Mullah Qazi and his five men," Sulimankhil told Xinhua. #3: As many as nine people were killed in a blast in northwestern Pakistan on Saturday, local TV channels reported. Children at Luqman Banda village in Dir district of North West Frontier Province found a bomb disguised as a toy outside their school and brought it home, said the report. #4: One person was killed while another sustained critical injuries in a landmine blast in southwestern Pakistan on Saturday. Two people identified as Murad and Lesi were on their way to their village Kandoi in Dera Bugti of Balochistan province, when one of them mistakenly stepped over a landmine planted by unknown miscreants beside the road, according to official Associated Press of Pakistan. The DoD is reporting a new death previously unreported by the military. Cpl. William C. Comstock died in a non-hostile incident in an undisclosed location in Al Anbar province, Iraq on Wednesday, April 22nd. The DND/CF is reporting the death of a Canadian ISAF soldier, Major Michelle Mendes in a non-combat incident in her accommodation room at Kandahar Airfield, Kandahar province, Afghanistan on Thursday, April 23rd. #1: Back-to-back suicide bombings killed at least 35 people Friday outside the most important Shiite shrine in Baghdad, police officials said. The bombers Friday detonated explosive belts within minutes of each other near the gates of the tomb of Imam Mousa al-Kazim, a prominent Shiite saint, located in the northern neighborhood of Kazimiyah, said a police official. Another police official said the bombers struck shortly before the start of Friday prayers as worshippers streamed in to the mosquean important site for Shiite pilgrims. About 90 people also were injured in the blast, said the same official. Officials say at least 60 people were killed when two bombers detonated explosives belts within minutes of each other near the tomb of Imam Mousa al-Kazim in the Kazimiyah area of Baghdad. #2: Thursday A roadside bomb exploded near juvenile hall in Tobchi, central Baghdad injuring two civilians at 6 p.m.
#1: Two houses belonging to displaced families from Timim tribe were blown up Thursday morning, the first in al Mualimeen neighbourhood, western Baquba and the other in Tahrir neighbourhood in east Baquba. The houses were empty and they belonged to two Shiite families who had intended to return. #2: Gunmen attacked and killed Sheikh Salih Mustafa Mohammed, sheikh of al Askar tribe in the marketplace in northeastern Baquba at 10 a.m. Thursday. #3: A roadside bomb targeted Mubarak Hammad al Obaidi, commander of Sahwa in Khalis county. The incident took place in al Atheim district, around 15 km to the north of Baquba Thursday evening. Obaidi and three of his aids were killed and two others were injured. #4: Two civilians were killed and a third was injured on Friday in a bomb explosion in northeast of Baaquba city, the director of al-Saadiya district said. “An improvised explosive device went off targeting a group pf civilians near a mosque in Taba neighborhood in central al-Saadiya district in south of Khaneqeen, killing two civilians and injuring a third one,” Sheikh Ahmad Zarkoushi told Aswat al-Iraq news agency. #1: A fighter from the tribal sahwa (awakening) forces was killed by unidentified gunmen’s fire north of the city of al-Hilla on Thursday, a security source in Babel said. “Unknown gunmen opened fire on a sahwa fighter while he was inspecting sahwa checkpoints in his vehicle at al-Musayyab district, (45 km) north of Hilla, killing him instantly,” the source told Aswat al-Iraq news agency. #1: Four civilians were wounded when an unidentified gunman threw a hand-grenade at a gathering of local residents in western Mosul city on Thursday, a police source in Ninewa said. “The gunman managed to escape after the blast that took place in the area of Ras al-Jada, western Mosul,” the source told Aswat al-Iraq news agency. #1: A policeman was killed and three others were wounded Friday in an attack by gunmen on a checkpoint in southern Falluja, a police source said. “An armed group on Friday (April 24) attacked a checkpoint in Ahsa region in Ameriyat al-Falluja district in southern Falluja, where a policeman was killed and three were wounded,” Major Yassin Mohamed told Aswat al-Iraq news agency. #1 A police officer has died after a bomb inside a package left at a checkpoint in Afghanistan's capital exploded when he opened it. Police stopped a man walking with a large package in southern Kabul before dawn, and the man quickly dropped the box and ran off, said Ahsib Arian, the district police chief. An officer was killed when he looked inside the box, he said. #2: A roadside bomb killed three Afghan soldiers and wounded five others in Garda Serai district, some 120 km (75 miles) south of Kabul, provincial police chief Aziz Ahmad Wardak said. #3: The father of Education Minister Farooq Wardak was found alive in Khwaja Omari district of Ghazni province, 120 km (70 miles) southwest of Kabul, five days after being kidnapped. #4: As many as 11 militants were killed in a operation conducted by the army in the tribal region in Pakistan on Thursday, said an army statement. According to the statement released by the Inter-Services Public Relations, 11 confirmed hideouts of militants were targeted in the operation in Chapri Feroze Khel, Khawaja Khizar and Bizoti areas in Orakzai tribal agency and the adjourning tribal areas. MNF-Iraq is reporting the death of a Multi-National Division–Baghdad Soldier soldier from from combat related injuries in an eastern neighborhood of Baghdad on Wednesday, April 22nd. Family of Hungarian shot in Iraq to sue for compensation: The family of a Hungarian man killed by a US soldier in Iraq in late March will file a law suit demanding compensation of 1.5 million dollars, the man's sister told MTI on Thursday. #1: Iraqi officials say at least 22 people have been killed in a suicide bombing that struck civilians collecting humanitarian aid in Baghdad. Police and hospital officials say Thursday's attack occurred near Tahariyat Square in the central neighborhood of Karradah. An official at the Interior Ministry says 22 people have been killed and 52 wounded. The blast targeted a police patrol in the Karrada district on Thursday and the dead included at least 13 policemen, the interior ministry said. The police were said to be helping to distribute relief supplies to displaced Iraqis at the time of the attack. In the first attack a suicide bomber wearing a vest stuffed with explosives blew himself up in a group of police distributing relief supplies in Baghdad, killing at least 28 people and wounding 50. #2: Wednesday Around 10 p.m. a gunman threw a grenade on an Iraqi national police check point at the high way which leads to the Ministry of Finance building in downtown Baghdad on Wednesday. One policeman was killed and three others were wounded including two civilians. #1: One civilian was killed and two others were wounded in an armed attack near Khanaqin district, a Diala security source said on Thursday. “On Wednesday evening, unknown gunmen driving a car opened fire on a civilian vehicle on al-Imam Wis road (35km south of Khanaqin), killing one civilian and wounding two others before fleeing to an unknown destination,” the source told Aswat al-Iraq news agency. #1: At least seven people were killed and 25 wounded when a suicide bomber attacked a group of Iranian pilgrims on Thursday near the northeastern city of Baquba, Iraqi police said. A second suicide bomber killed at least 25 people later on Thursday , most of them thought to be Iranian pilgrims, in a restaurant northeast of Baghdad, Iraqi police said. A suicide bomber on Wednesday killed at least five people and wounded 15 inside a mosque in central Iraq, and on Monday, a suicide bomber in a police uniform killed four policemen in northeastern Diyala province. Eight US soldiers were wounded. #1: One Iraqi serviceman on Wednesday was injured in an explosive charge blast that ripped through western Mosul city, according to an army source. “An improvised explosive device (IED) targeted an Iraqi army patrol vehicle in Souk al-Maash area, western Mosul, wounding a patrolman,” the source told Aswat al-Iraq news agency. #2: Two civilians were wounded on Thursday in an improvised explosive device explosion in eastern Mosul, a security source said.“An explosive charge went off on Thursday (April 23) targeting an Iraqi army vehicle patrol in al-Zahraa neighborhood in eastern Mosul, injuring two civilians,” the source told Aswat al-Iraq news agency. #3: A booby-trapped car went off on Thursday targeting the U.S. forces in eastern Mosul, without causing any casualties, a police source said. “A car crammed with explosives went off on Thursday (April 23) targeting U.S. forces in al-Nabi Younnes region in eastern Mosul, without leaving casualties,” the source told Aswat al-Iraq news agency. #1: Dozens of militants armed with guns and gasoline bombs attacked a truck terminal in northwestern Pakistan on Thursday and burned five tanker trucks carrying fuel to NATO troops in Afghanistan, police said. Militants attacked the truck depot near the city of Peshawar before dawn, hurling gasoline bombs which set fire to the five tankers, said Abdul Khan, a local police official. Security guards fled and the assailants made their escape before police arrived, Khan said. Several truckers drove their vehicles out of the terminal to save them from the flames, which were later doused by firefighters, he said. #2: Pakistani paramilitary troops rushed to protect government buildings and bridges from encroaching Taliban militants just 60 miles (100 kilometers) from the capital quickly came under fire Thursday by gunmen who killed a police officer, authorities said. The assault in Buner district is likely to heighten concern about the viability of a government-backed peace deal that imposes Islamic law in a large segment of the country's northwest in exchange for peace with Taliban militants in the neighboring Swat Valley. Six Frontier Constabulary platoons arrived in Buner on Wednesday, said Syed Mohammed Javed, a government official who oversees the area covered by the peace deal. He would not say if the deployment was in direct response to the Taliban presence, but said tribal elders were meeting to assess the overall situation. On Thursday, gunmen opened fire on a security convoy that included some of the Frontier Constabulary. The gunfire killed an escorting police officer and wounded another in the Totalai area, said Hukam Khan, an area police official. #3: Iran's state television says Afghan forces have killed an Iranian guard along the countries' restive border.Thursday's report quotes an unidentified Iranian official as saying the Afghan forces were not aware that the Iranian guard was in the area at the time of the shooting, which occurred during a night patrol. The report did not say when the shooting took place. Two Iranian border police were killed and two others wounded in Iran's southeastern province of Sistan-Balouchestan, Iran's Police News Center reported on Wednesday. "The policemen who had taken food items from Sarbaz city in Sistan-Balouchestan to the outpost of Azadeghan (bordering Pakistan) were targeted by armed rebels on their way back," the report said. "The driver and another one in a Peugeot car ruthlessly targeted the police car and quickly escaped," the Police News Center said. Two policemen were killed and two others, who were soldiers, were wounded and taken to the hospital, according to the report. #4: US-led coalition forces killed two suspected Taliban militants in an operation in southern Afghanistan. Using information provided by intelligence sources, a combined force of Afghan and coalition troops conducted an operation in the Tarin Kot district of Uruzgan province Wednesday and killed two suspected militants, the US military said in a statement. #5: Two policemen were killed as militants ambush police mobile van in northwestern Pakistan on Thursday, private DAWN NEWS TV channel reported. The police mobile van was piloting Frontier Constabulary (FC) troops when it came under the attack in Swabi village in North West Frontier Province, said the report. The FC troops were on their way to Buner district where Taliban militants have established their presence. #6: Clash between Afghan police and Taliban militants in western Afghan province of Farah claimed the lives of one police and seven Taliban militants on Wednesday, provincial police chief said on Thursday. "Militants on Wednesday stormed a police convey in Khaki Safid district killing one police and injuring another," Abdul Qhafar Watanyar told Xinhua. He added that seven Taliban were also killed as police returned fire and over a dozen rebels sustained injuries. Watanyar said that one teenager girl was killed in the clash. #1: A bomb on Tuesday killed a policeman and wounded three others when it struck their patrol in the Amiriya district of western Baghdad, police said. Around 10 p.m. a roadside bomb targeted a police patrol on the bridge that connects the neighborhoods of Ameriyah and Amil in western Baghdad on Tuesday. One policeman was killed and three others were wounded. #2: Around 10:15 p.m. a roadside bomb targeted an Iraqi army patrol in Medain in southern Baghdad on Tuesday. Three soldiers were wounded. #1: The spokesman for the U.S. army on Wednesday said that four missiles fell near the U.S. Echo camp in Diwaniya, without leaving casualties. “The four missiles caused no casualties or material damage,” al-Muqdad Jebreel told Aswat al-Iraq news agency. For his side, the commander of the 8th division of the Iraqi army in Diwaniya, Othman al-Ghanemi, said that three Katyusha rockets landed on Wednesday (April 22) on Umm Sabaji village in north of Diwaniya, without casualties. #1: Gunmen in a car kidnapped a judge while he was heading to his office in southwestern Kirkuk, 250 km (155 miles) north of Baghdad, police brigadier general Sarhat Qader said. #2: A sticky bomb went off on Tuesday targeting an Iraqi army vehicle in central Kirkuk, without leaving casualties, a senior police officer said. “An explosive charge, stuck to an Iraqi military vehicle, went off in al-Atebaa street in central Kirkuk, setting the vehicle ablaze,” Colonel Ahmad Shmerani told Aswat al-Iraq news agency. #3: Gunmen killed engineer Tariq Mustafa, an employee of Kirkuk municipality during an attempt to kidnap him in central Kirkuk. #1: A roadside bomb targeting a police patrol in a crowded market wounded eight people, including a policeman, in central Mosul, 390 km (240 miles) north of Baghdad, police said. #2: A Kurdish Peshmerga leader escaped death when a bomb in a parked car exploded near his convoy in the small town of Zummar, northwest of Mosul, police said. No casualties were reported. #3: Also in Zummar, a suicide car bomber attacked a security checkpoint run by Kurdish Peshmerga forces. Police sources in Mosul said one of the Kurdish soldiers opened fire at the car and it detonated before reaching its target. #4: A suicide car bomber on Tuesday attacked a military checkpoint and seriously wounded two soldiers in eastern Mosul, police said. #5: Unknown gunmen on Tuesday killed a butcher in western Mosul city, according to a security source. “Unidentified gunmen on Tuesday (April 21) killed a butcher inside his store in al-Nehrawan neighborhood in western Mosul,” the source told Aswat al-Iraq news agency. “The gunmen stormed the store and shot him in his head,” he added, before fleeing to unknown place. #6: U.S. forces ran over a civilian and left him wounded in Mosul, a security source said on Tuesday. “A civilian was wounded on Tuesday (April 21) when U.S. forces ran over him in al-Baath neighborhood in eastern Mosul,” the source told Aswat al-Iraq news agency. “The forces left him in the accident scene, but the Iraqi army forces carried him to a nearby hospital for treatment,” he added. #1: The official spokesman for the chieftains council in Anbar was wounded in a bomb explosion in northern Anbar, a police source said. “An explosive charge, stuck to the vehicle of Sheikh Zein Aagami, the official spokesman for the chieftains council in Anbar, went off while he was on his way back to his house in Albu Abeid village in northern Anbar,” the source told Aswat al-Iraq news agency. “The blast wounded the sheikh and two of his bodyguards and damaged the vehicle,” he added. #1: A Coalition helicopter conducted an emergency landing due a mechanical failure in the Tirzaye District of Khowst province earlier this afternoon. All crew members are safe and accounted for. The landing site has been secured by ground forces pending the recovery of the helicopter. #2: The combined force was searching residential compounds in Kunar province when a man armed with an assault rifle refused to surrender and threatened the troops, the U.S. said in a statement. He was killed and six men with suspected ties to al-Qaida were captured, the statement said. The incident occurred in Pech district, northeast of the provincial capital of Jalalabad. The statement said the troops were searching the compounds for a “key enabler” of al-Qaida operatives in the province. It did not say if the target was killed or captured. #3: Meanwhile, the Interior Ministry said a civilian truck driver was shot and killed by militants in Ghazni province Tuesday. The victim was transporting commercial merchandise and resisted attempts by the militants to loot his vehicle, the ministry said. #4: Aircraft bombed suspected militant hideouts in the Orakzai tribal region and it is believed there were some casualties, said government official Yasin Khan. Resident Ajab Khan said five militants were killed and 10 wounded. #5: Unknown men threw a grenade at a house in the northwestern town of Hangu, killing one inhabitant and wounding two. One of the attackers was also killed in the blast, said police official Amal Khan said. #6: Atif-ur-Rehman, a senior government official in Dir district, bordering the Swat region, and his driver and two guards were kidnapped by unknown men late on Tuesday, said the area's top administrator Syed Mohammad Javed. Sgt. Maurice Craft, a 82nd Airborne soldier lost one leg and part of another in a bomb blast in Iraq in 2003. Russell Skoug on September 11, 2006 an Improvised Explosive Device would change Russell Skoug's life forever. "When [the] IED blew up and [came] through the truck, that coin was sitting in this side leg," he said. His angel coin was bent from the shrapnel, sparing his leg from even more injury. Loaded onto a cot he recalls his flight from Iraq to Germany. Some of the wounds on his body may heal with time, but he said, "The ringing in the ears is going to be there forever." #1: Unknown gunmen launched two rockets toward a Multi-National Forces (MNF) base to the west of Kut city, a security source from Wassit province said on Monday. “The gunmen fired two Katyusha rockets,” the source told Aswat al-Iraq news agency. “The rockets targeted the Delta Base, 7 km west of Kut,” he said. #1: Unknown gunmen killed a civilian amid al-Nabi Younnes marketplace in eastern Mosul,” a police source told Aswat al-Iraq news agency. #2: Another police source said that an armed group shot and killed a taxi driver in Garage al-Shamal region in eastern Mosul. #3: An improvised explosive device went off targeting U.S. forces in northern Mosul, without leaving casualties,” a security source said. #1: Afghan police and foreign troops killed seven militants in a joint mopping-up operation in Uruzgan porvince on Monday, about 300 km (160 miles) southwest of Kabul, the interior ministry said. #2: Afghan soldiers and police backed by U.S. troops killed two militants in a gunbattle in Uruzgan province on Sunday, the U.S. military said. #3: Pakistan's security forces, backed by gunship helicopters, continued their attacks on militants' hideouts in northwestern tribal region and killed 10 more militants on Monday. The security forces have started the military operation in Orakzai tribal agency bordering Afghanistan on Sunday, killing 12 militants, private Geo TV channel said. "Militants targeted security personnel in Orakzai Agency on Monday. In reply, the security forces' gunship helicopters carried out shelling, killing 10 militants," reports quoted sources as saying. #1: Baghdad’s Secretariat on Monday said that one of its personnel was killed in a “criminal” attack in the capital, calling on concerned bodies to put on more effort to protect its staff. “Ghadeer Salman Kadhem from the state-run Ibn Rushd Company was martyred in a criminal attack while he was heading to work,” according to a statement released by the secretariat’s media office and received by Aswat al-Iraq news agency. Gunmen killed the driver of a director general in the Ministry of Planning. He was waiting at the DG's front door in New Baghdad, eastern Baghdad when the gunmen shot him dead using a gun with a silencer, threw his body on the pavement, to be found by his boss, and drove away with the car. #2: Two mortar rounds slammed into a private power generator in Zayuna, eastern Baghdad at 2 p.m. Sunday injuring two civilians and destroying the generator. 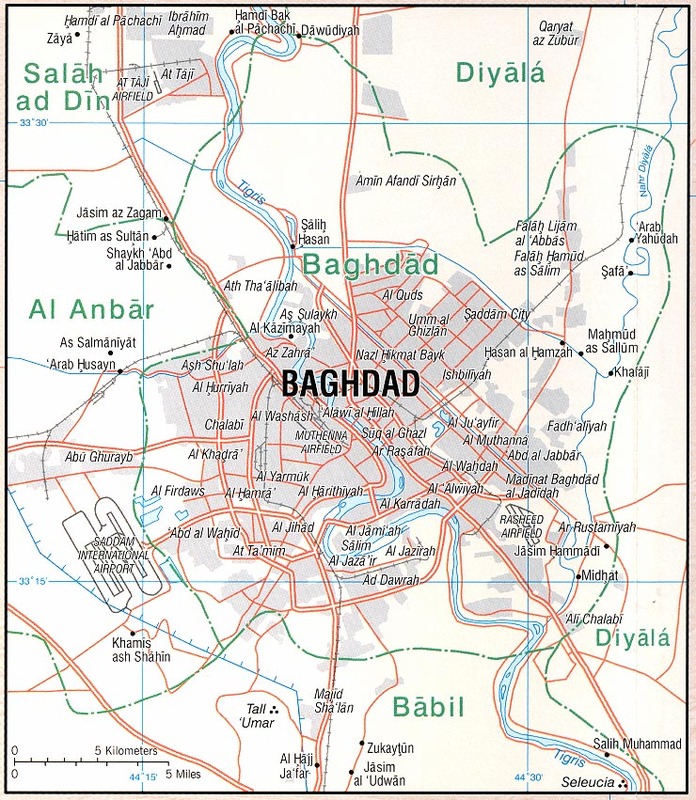 #1: A gunman on foot opened fire at a checkpoint manned by Iraqi Army in Gatoun area, 1 km to the west of Baquba. He wounded two soldiers and got away. Eye witnesses said that he looked around 15 years old. #1: A suicide bomber targeting a joint Iraqi and American foot patrol northeast of Baghdad on Monday killed three people and wounded eight coalition soldiers, military officials told AFP. An Iraqi army official said three police had been killed and one civilian wounded, while a US army spokesman said initial reports indicated that "the explosion resulted in at least eight coalition casualties" but no deaths. The US spokesman did not confirm that three Iraqi police had been killed and one civilian wounded. The forces were patrolling inside Baquba, which is located 60 kilometres (35 miles) northeast of the capital, when they came under attack, said the Iraqi army official from the city's military operations command. #1: A child on Monday was wounded when a hand grenade went off near Karbala city, according to the director of the province’s police. “The incident took place in al-Hindiya city, 20 km east of Karbala city,” General Ali Jassim Mohammed told Aswat al-Iraq news agency.“The child’s fingers of both hands were cut off and he had different other wounds due to the explosion,” he said. #1: A roadside bomb on Monday went off targeting a Multi-National Forces (MNF) patrol in northern Basra, without causing any casualties or damage, according to a local security source. 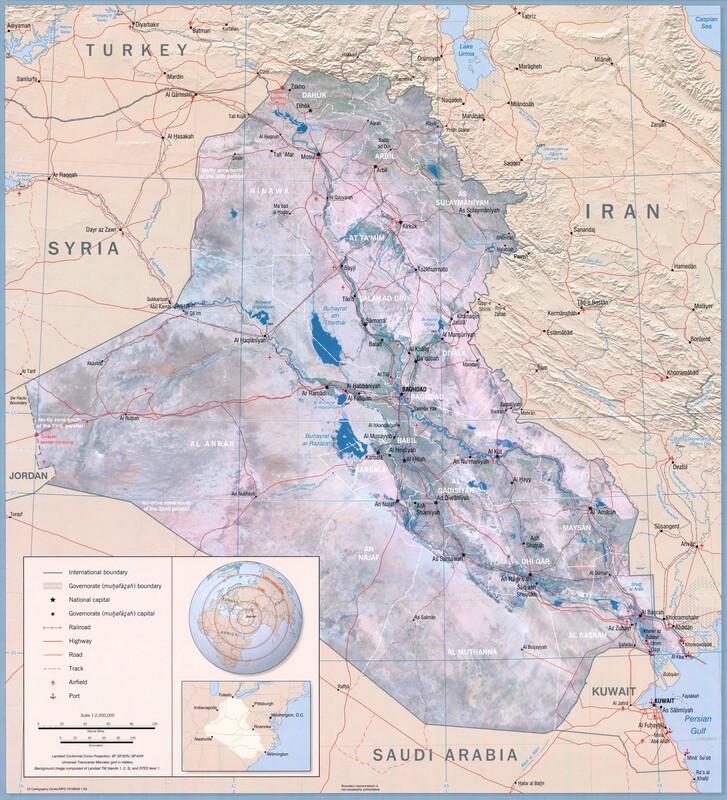 “The incident took place near the oil cultural center, 7 km north of Basra city,” the source told Aswat al-Iraq news agency. #1: Two men in a civilian sedan (BMW) attempted to kidnap nine year old Elias Yaqub in neighbourhood 92. The police was able to catch the kidnappers one of whom broke both his legs during the chase and confrontation. Elias was set free. #1: Iraqi army forces on Monday found a body belonging to a girl near Makhmour district, northern Iraq, according to an army source. “On Monday morning, army forces found an unknown body belonging to a girl in western al-Kowir (23 km north of Makhmour district),” the source told Aswat al-Iraq news agency.“The body bore signs of gunshot wounds and was taken to the morgue,” the source added. #1: Two children on Monday were killed in an explosive charge blast in northern Falluja city, according to a local security source. “An improvised explosive device (IED) planted next to a house belonging to an Iraqi army captain detonated while he was leaving the house, killing two children,” the source told Aswat al-Iraq news agency. #2: Police forces on Monday foiled an improvised explosive device (IED) attack that targeted a policeman’s house in downtown Falluja city. “On Monday, emergency police forces defused an IED planted near a house belonging to a senior officer in downtown Falluja,” Lt. Col. Hatef Mohammed told Aswat al-Iraq news agency. #1: A disabled man packed explosives into his artificial leg and detonated inside the compound of an Afghan provincial governor on Monday but managed only to kill himself, police said. The bomber hobbled into the heavily guarded compound of the governor in the western city of Herat and exploded his bombs after police fired at him, deputy provincial police chief, Delawar Shah Delawar, told AFP at the scene. "Today a suicide attacker, a disabled man who placed his bombs in his artificial leg, was able to enter the governor's compound. He exploded himself after our police fired at him," he said. #2: Suspected U. S. missiles leveled a Taliban compound in Pakistan yesterday, killing three people despite threats of suicide bombings if the strikes don't end. Yesterday's suspected strike occurred in South Waziristan. Shahab Ali Shah, South Waziristan's top administrative official, said three people died and five were wounded in the Zari Noor village area. The identities of the dead and wounded were not immediately clear. #3: Two roadside bombs wounded four Danish soldiers in the southern Helmand province of Afghanistan, Denmark’s Army Operational Command (HOK) said in a statement AFP inoforms. One soldier was seriously injured when a bomb blast hit the military vehicle in which he was travelling near the Danish base camp of Armadillo, the statement said. Three other soldiers who tried to help him were hit by the explosion of another bomb. All four were transferred by helicopter to the Camp Bastion military hospital. The first soldier was in a stable, but critical condition, while the others were not believed to be in any danger. #4: Pakistani security forces shelling Taliban attackers in a militant stronghold near the Afghan border killed at least three civilians, officials said Monday. The overnight clashes occurred in the vicinity of Wana, the main town in the South Waziristan tribal region. A Taliban compound in the same area was targeted by a U.S. missile strike on Sunday that a government official said killed three people. Militants attacked at least four military camps and checkpoints between 11 p.m. and 2 a.m., leading security forces to use artillery in retaliation, said an intelligence official who spoke on condition of anonymity because he was not authorized to speak to media. #5: Also early Monday, the bullet-riddled body of an Afghan man was found near the town of Mir Ali in North Waziristan tribal region, along with a note accusing him of spying for the United States, local police official Hayat Mohammad said. #6: Dozens of armed Taliban militants stormed a police post in southwestern Afghanistan overnight, killing five policemen, an official said on Sunday. The post, manned by a small number of policemen, was overpowered after the rebels attacked it near the town of Farah in the remote province of the same name, said Mohammad Younus Rasouli, deputy provincial governor. “A large number of Taliban attacked one of our police posts late last night. We lost five policemen in that attack,” Rasouli told AFP. He said the attackers, believed to be in their dozens, fled after reinforcements were sent to the area.An operation to hunt down the militants was underway, the official said. The Taliban also suffered some casualties, Rasouli said, but could not give a figure. It was the latest in an increasingly bloody insurgency being waged by the remnants of the Taliban. #7: In a video released last week, the Taliban are seen shooting a 19-year-old after he confesses to planting small transmitter chips that guide CIA’s drones to their targets. “I was given Rs 10,000 to drop chips wrapped in cigarette paper at Al Qaeda and Taliban houses,” he said. “If I was successful, I was told I would be given thousands of dollars ... The money was good so I started throwing the chips all over. I knew people were dying because of what I was doing, but I needed the money.”Propaganda: A US official talking to the NBC dismissed the video as “extremist propaganda”. The Taliban, meanwhile, believe they have busted most of the spy networks operated by the US and Pakistani militaries. “We used to watch these planes, but had no idea they were chasing us and taking pictures of our activities,” said a Taliban commander in North Waziristan. “In the early days ... our training camps were visible and people would come and go. We were not so concerned about the security of our locations, but that has all changed now. We [have] abandoned all our old camps and re-located to new places. ”The commander said 40 training camps had been moved because their friends in Afghanistan had tipped them off about planned US attacks.The commander said that the Americans had then started paying Pakistani and Afghan citizens to identify their locations. “Finally, with the help of our sources in the Pakistani and Afghan intelligence agencies, we detained two Afghan tribesmen, who after five days of interrogation, confessed to spying for US forces in Afghanistan. They revealed other names and then we knew there were entire networks of spies operating in our areas,” he said. A government official said the Taliban had recently executed more than 100 alleged spies in North Waziristan. #8: A civilian was killed in an explosion on Monday in Uruzgan, 180 km (112 miles) south of Kabul, the interior ministry said. #9: Afghan and U.S.-led troops killed four "adversaries" in an overnight operation in Kandahar province, 450 km (280 miles) southwest of Kabul, the U.S. military said, adding one woman was also wounded superficially in the raid. #10: Five Afghan police have gone missing after a Taliban attack on Sunday in Ghazni province, 130 km (80 miles) southwest of Kabul, a provincial official said. Two mortar rounds hit the Green Zone on Saturday, the first such attack since January. No damage is reported. The attack is said to come from eastern Baghdad, taking advantage of a sandstorm for cover. Car bomb, possibly targeting a U.S. patrol, injures 7 civilians. Vote for new Parliament Speaker finally scheduled for later today. Dahr Jamail discusses the growing tensions between the Shiite-led government and the Sunni Sahwa militias, created by the U.S. as part of the so-called "surge" strategy. He sees danger of renewed sectarian violence. Iraqi and American Reconciliation Project "connects Iraqis and Americans through joint education, art, and humanitarian aid projects." If it sounds interesting, check it out. NYT's Rod Nordland reports that reduced violence and eased security restrictions in Baghdad have brought renewed vice, or at least what passes for vice in a relatively conservative society -- liquor stores, night clubs, gambling, prostitution, and -- gasp! -- dating. Attack on a police checkpoint in Farah province kills 5 police. Provincial officials say there were Pakistanis and Chechens among the attackers, but the basis for this claim is not stated. Missile apparently fired from a U.S. drone kills either 3 or 7 suspected militants, according to differing reports, in South Waziristan, Pakistan. U.S. and Afghan forces kill an unspecified number of people in a battle in Kandahar Province. Karzai's office said three civilians were killed by international forces in Helmand province on Friday. The NATO-led force said three people were killed when its forces fired on a vehicle from which a man who was "posing a threat" was exiting. Two people inside the vehicle were also killed, it said. "The death of a single innocent Afghan is a tragedy," said Capt. Mark Durkin, a spokesman for the NATO-led force. An investigation is under way, he said. Karzai said three civilians, including a woman, also were killed in Logar province. The NATO-led force said in a statement that three militants were killed Saturday during an operation in Logar. It would be good for Al-Qaeda if US forces stayed in Iraq, because they could justify their kidnappings, bombings and killings. #1: At least five people died Friday in a round of mortar attacks, as incidents targeting Shia-dominated districts in Baghdad increased.The total number of victims was not confirmed, but a source in the Interior Ministry said the attacks killed at least five people and wounded 12. 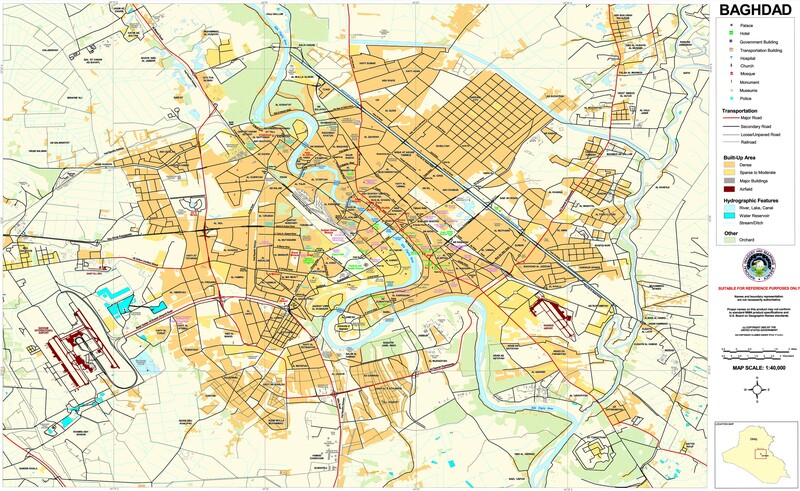 Witnesses told DPA, the German news agency, that the mortar rounds, which struck Jisr Diyala district - an impoverished neighbourhood in southern Baghdad, killed seven people and wounded 18. #2: An explosion killed four people and wounded eight on Friday in Baghdad's eastern neighbourhood of Diyala Bridge, police said. They said the blast was a mortar attack but Baghdad security spokesman Major-General Qassim Moussawi said a boy had accidentally triggered unexploded ordnance, killing himself and a passer by and wounding two other people. #1: In a related development, an IED went off near a police patrol in al-Katoun, seriously wounding a policeman,” Shimari added. #1: Three policemen on Saturday were injured in clashes between police personnel in downtown Amara city, according to a local police source. “During an early hour this morning, a police patrol engaged in clashes with another over who has the right to detain an outlaw in al-Muallimeen al-Qadeem neighborhood, downtown Amara,” the source told Aswat al-Iraq news agency. “Three patrolmen were wounded in the clashes,” the source explained. 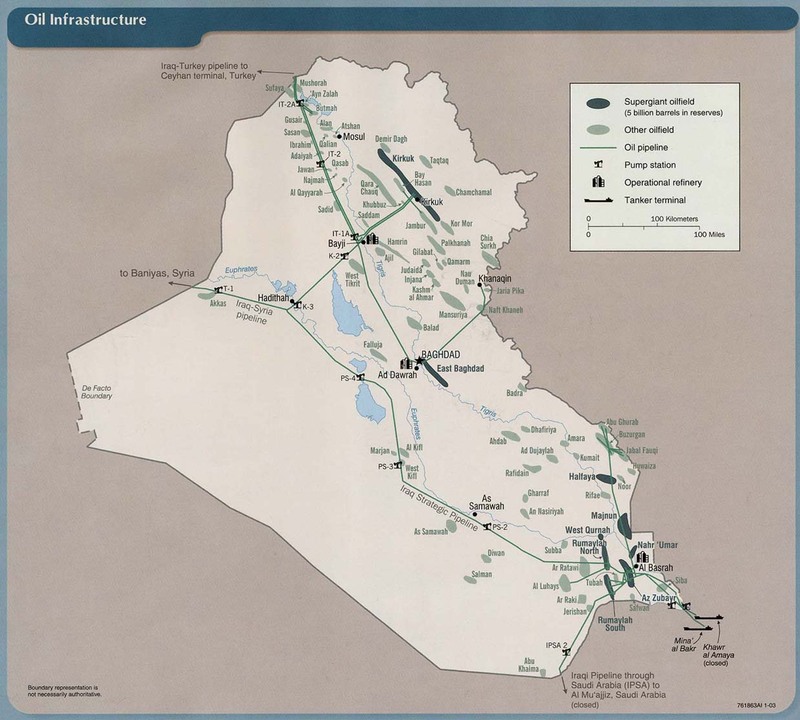 #1: Iraqi forces are flooding into an industrial zone of Fallujah that was once a Sunni insurgent stronghold. The raids began early Saturday in a district of factories and workshops in the southern part of the city, about 40 miles (65 kilometers) west of Baghdad. Fallujah's police chief, Col. Mahmoud al-Issawi, claims armed groups are trying to re-establish footholds in the area more than two years after being driven out. #1: NATO-led forces and Afghan troops killed three suspected militants during a raid Saturday in central Afghanistan. The joint force was targeting insurgent commanders in a village in Logar province. The three suspected militants were killed in a gunfight following a call for them to surrender, a NATO statement said. #2: In southern Kandahar province, an airstrike on an underground bunker killed at least two suspected militants Saturday, a statement from U.S. forces in Afghanistan said. U.S. troops attacked multiple compounds in Kandahar's Maywand district "to locate and capture a militant closely associated with the anti-Afghan forces leadership in Pakistan," the statement said. It was not clear whether the target of the raid was among those killed. #3: Separately, a roadside bomb targeting a police vehicle in Kandahar city killed a woman and wounded five other people including three civilians, said Abdullah Khan, the provincial deputy police chief. The bomb was placed on a bicycle close to the city's main hospital. Two police officers were wounded, and one of the injured civilians was being held as a suspect in the attack, Khan said. #4: Pakistani police say a suicide bomber has killed 10 people at a checkpoint in the country's northwest. Police official Qasim Khan says the bomber targeted a checkpoint near Hangu, a troubled town close to the tribal belt where Taliban and al-Qaida militants are entrenched. Khan says the local police chief was among several others injured in Saturday's attack.